Mr. Arroyo’s legal career exceeds more than 34 years, including more than 29 years in the information and communication technologies industries as a lawyer, government relations professional and former executive of the biggest multi/technology operation in Puerto Rico, the Puerto Rico Telephone Company, Inc. and its affiliates. During his tenure at the company he worked for different owners such as the Government monopoly, GTE, Verizon International and America Movil. He has a broad experience addressing the legal, regulatory and compliance aspects of financial, operational, technical and marketing issues associated with the telecommunications, broadband, wireless and video distribution industries. Mr. Arroyo is equally well-versed in transactional work, commercial litigation, administrative agency advocacy and intercarrier relations matters. 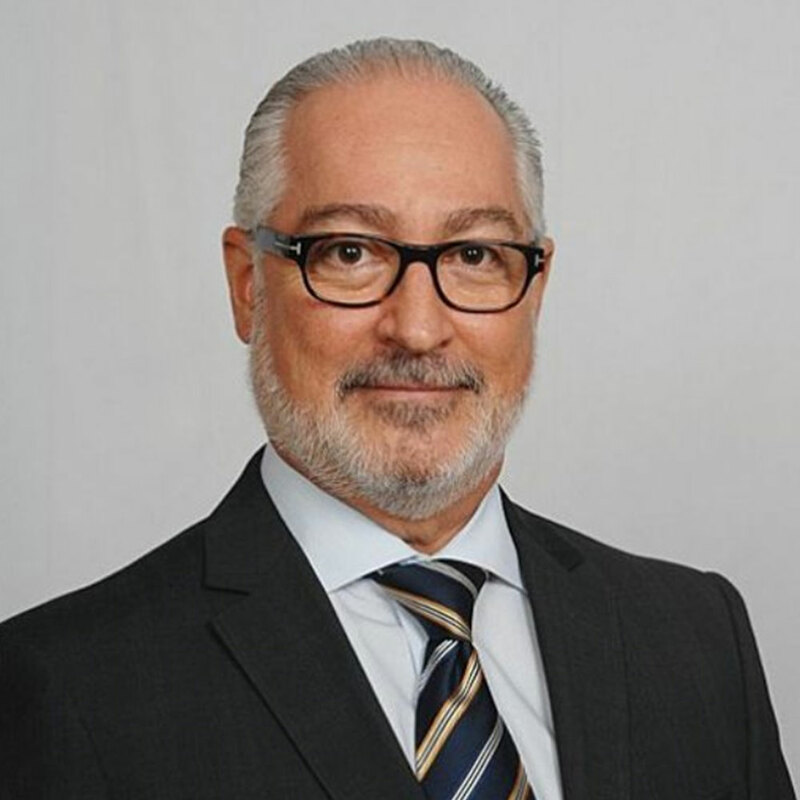 He has hands-on experience counseling and/or advocating before the FCC and the Puerto Rico Telecommunications Regulatory Board and in local and federal courts regarding the negotiation, arbitration and litigation of intercarrier interconnection and compensation matters. Additionally, Mr. Arroyo has actively participated in regulatory proceedings and legal actions regarding dialing parity, all numbering matters, Universal Service Fund’s Lifelink, Lifeline and E-Rate programs, High Cost Fund programs, tower business and regulation, wireless spectrum bids and licensing, roaming, digital transition, RF interference and IPTV/Cable franchise. Mr Arroyo is a fully bilingual lawyer with excellent relations with key members of the telecommunications, video and broadcast industry in Puerto Rico. Walter has access with public officials of the Executive branch agencies and the Legislature of Puerto Rico. Besides his extensive knowledge of the industry, Mr. Arroyo has a “hands on” approach and bonds well with cross functions teams. Mr. Arroyo’s goal is to provide service excellence, leveraging experience and relationships to support his clients in achieving their business goals. * Detailed information on associating attorney relationships, contact Marashlian & Donahue, PLLC. Serving as regulatory and litigation counsel in a multi-technology operation in Puerto Rico for 29 years; established solo practice law firm and consulting practice since January 2017. Advising in the implementation and compliance of regulatory mandates such as dialing parity, local number portability for the wireline and wireless operations, CALEA, E-Rate, Universal Service, 911/E911, Triennial Review changes, Telecommunications Consumers Protection Act, and many other regulatory changes that had occurred in the industry for the last 21 years. Negotiating and drafting a broad spectrum of agreements necessary for the effective operation of a multi-technology carrier with more than a million customers and with a yearly income of more than a Billion dollars. Negotiating and drafting agreements for tower siting and construction and renting space for and from wireless carriers, CLECs, Broadcasters, government agencies, private buildings and independent tower owners for co-location of transmission and broadcast equipment. Provided and lead the training process and seminars detailing industry regulatory changes to all levels of the corporation, including the President and new executives. Lead negotiating, arbitration and litigation of intercarrier interconnection agreements and the issues arising out of the administration and operation of these contracts, such as collocation, transport and backhaul interpretation, intercarrier compensation, collection claims, contractual damages, resale, etc. Providing advice and negotiating the only IPTV/Cable franchise in Puerto Rico for the company enabling it to enter IPTV/Cable. Supervised and lead the Cost Separation and Tariff areas and has experience drafting retail and wholesales tariffs. Coordinated efforts and strategies with USTA, CTIA, the America Movil affiliates in LatAm and participated in World Radio Conference CariCam 2015 as a Panel Member. Appointed to advise and lead lobbying initiatives regarding coverage of broadband service to unserved areas in Puerto Rico within five years with an estimated high cost subsidy of $180 million. Accomplished an express FCC mandate to consider insular areas with special considerations based on the geographical and cost differences with mainland carriers. Lead the lobbying effort with our Washington law firm to receive an FCC grant of $31.5M from the CAF I(2) funds for the construction of infrastructure geared to provide high speed internet to more than 40K locations in the rural un-served areas of Puerto Rico. Mr. Arroyo has a Business Administration Bachelor (1978) degree from the University of Puerto Rico and earn his Juris Doctor (1982) in the same institution, graduating on both with cumm laude.